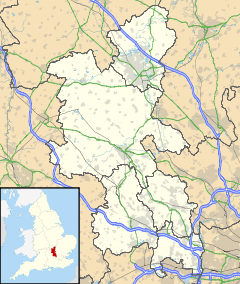 Wolverton and Greenleys is a civil parish with a Town Council in the borough of Milton Keynes, England. It is north-west of central Milton Keynes, and according to the 2001 census had a population of 8,253. It includes Wolverton, Old Wolverton, Wolverton Mill, Greenleys and Stonebridge. The parish is bounded to the north by the River Great Ouse, to the east by the West Coast railway line, to the south by the Millers Way (H2) grid road, and to the west by the A5. The parish was formed in 2001 as part of a general creation of parishes in the unparished part of Milton Keynes. At its southeast corner, it contains the Milton Keynes Museum which includes the Stacey Hill collection of rural life and many memorabilia of the nearby Wolverton railway works. ^ Parishes in Milton Keynes - Milton Keynes Council. ^ Wolverton & Greenleys Town Council, Wolverton Online. This page was last modified on 26 May 2016, at 21:56.